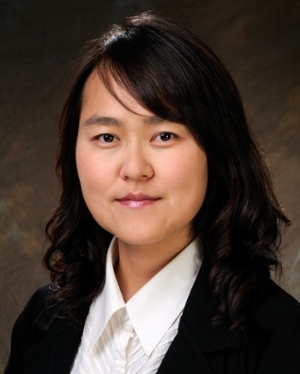 Regine Choe received her BS in physics from the Pohang University of Science & Technology, Korea in 1996, and PhD degree in physics from the University of Pennsylvania, in 2005. After finishing her postdoctoral work at the University of Pennsylvania, she joined the biomedical engineering department of the University of Rochester as an assistant professor, in 2011. Her research is focused on the development of diffuse optical methods for the clinical application of breast cancer diagnosis and therapy monitoring. Diffuse optical methods based on near-infrared light illumination have a great potential for detection and therapy monitoring of disease by providing information on several unique deep tissue functional/metabolic parameters. In our laboratory, we assess and improve the capabilities of diffuse optics in breast cancer detection, diagnosis and therapy monitoring. In clinical measurements of human breasts with tumor, we focus on identifying functional parameters which can serve as early indicators of therapy efficacy. Using a preclinical animal model, we study the metabolic mechanism of varied responses to therapy seen in the clinic, and investigate new therapeutic drugs and interventions. Also, we explore new functional and metabolic parameters accessible through near-infrared fluorescent optical agents.